For a long time i have gone through my life with no goal and sense of direction. But i have always been fascinated by martial arts, and the lifestyle that follows it. So i came here, with the goal of trying to live and breath like a martial artist, and try to find myself. In the time of Kunyu Mountain academy,I have gotten a lot of things from the time i have spent here. I'm in a way better shape than i was before, and more aware of myself, both physically and mentally. The people here at the academy are all really friendly and willing to help you. Its nice that the students and translators don't hold back on giving you advice, and help you when you have questions or need help with the training. I'm happy that i got to be under Shifu Gao (Master Gao), and learn from him. He is a great martial artist and a great teacher. He knows how to push his students, so they can reach their full potential and learn faster. And its great how he his strict under training while keeping the spirit up in the group, yet smiling and down to earth after training. I have learned a lot from Master Gao, and i'm honored and grateful to have had the opportunity to train under him. The everyday life in the academy, consist of multiple rigorous and fulfilling hours of Shaolin training. And free time where you can get to know interesting people from all over the world. The surroundings of the academy are really beautiful, and the cities Muping and Yantai nearby are big, so you will have a lot to see. Overall it has been a great experience, and I'm grateful for everything that i have gotten here. 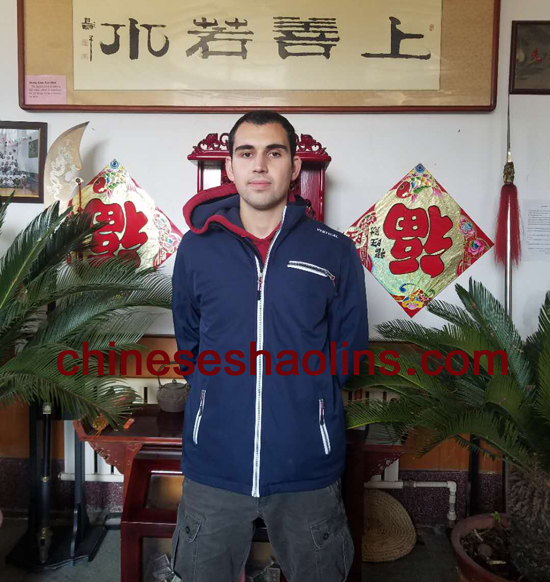 Emir Spent Half year training Chinese kung fu in Kunyu mountain academy.